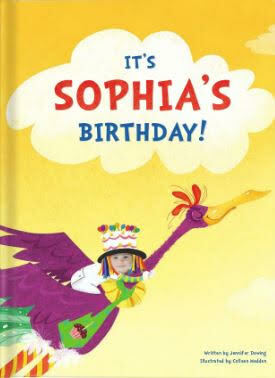 NEW Birthday Book from I See Me! : This is a must-buy for all young children! You are here: Home / Media Reviews / NEW Birthday Book from I See Me! NEW Birthday Book from I See Me! This is a must-buy for all young children! Looking for a great birthday gift idea for a young child? This Birthday book from I See Me! is a must-buy! I just love how you can personalize it and include a photo of your child on the cover and through out the book. This is such a cute book with beautiful illustrations! I had the opportunity to receive one for my niece who will be soon turning two-years-old and can’t wait to see her face when she sees this book! Visit I See Me! to order your own birthday book! Self Disclosure: I received a free book to facilitate this book. Photo was provided.